We all use plastics in our daily life in a vast number of ways such as in household appliances, wrappers, containers etc. One advantage of plastics is that it can be easily manufactured and molded into a variety of shapes and sizes. Discarded plastics container scan again be recycled and made into a new product. However, most of the left-over and discarded plastic waste often ends up in a landfill or is incarcerated which gives a lot of noxious fumes that pollute the atmosphere. Plastic waste has been deemed to be one of the most polluting of all waste materials as it synthetic nature does not allow it to degrade into the soil. There has been a focus on alternatives to using plastics, and one such alternate is the usage of bio-plastics-which are derived from biological sources and are degradable. Bio plastics are commonly made from natural substances such as corn, vegetable fats etc. 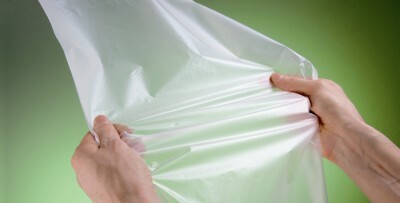 They are two different broad applications in using bio-plastics. One is to create a bio-degradable form of plastic which easily disintegrates and does not cause environmental pollution. The other is to create plastic polymers from a natural source-thereby decreasing our dependence on petrochemicals and chemical sources of plastics. Some examples of bio plastics are as below. PLA – Derived fromcane sugar .It can be made into foils, molds, cups and bottles. PLA can be easily processed and is similar to conventional plastics. Thermoplastic Starch: This is one of the most widely used bio-plastic and is derived from natural starch and similar substances. They are often blended with other variety of bio-plastics and have diverse uses. Renewable polyethylene: PET is one the most widely used variety of plastics, and also is one of the most polluting materials in recent times. Ethanol derived from natural sources can be made into PET, as ethanol is one of the building blocks of PET. Natural ethanol can be derived from a large number of sources such as sugarcane, corn etc. Sourcing the basic material from a natural source would significantly decrease the amount of pollution and the carbon footprint in making commercial ethanol.